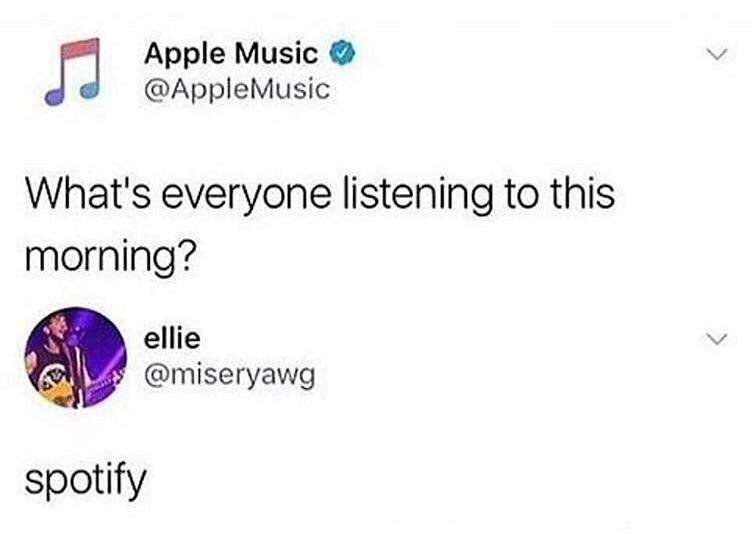 It's also true of course, everyone uses spotify these days because it's just better in every aspect. The only thing that's better than this is when companies roast back the person who is trying to roast them or when two companies roast each other. I can't imagine who could get that job of managing their twitter accounts and what kind of pay the person gets.